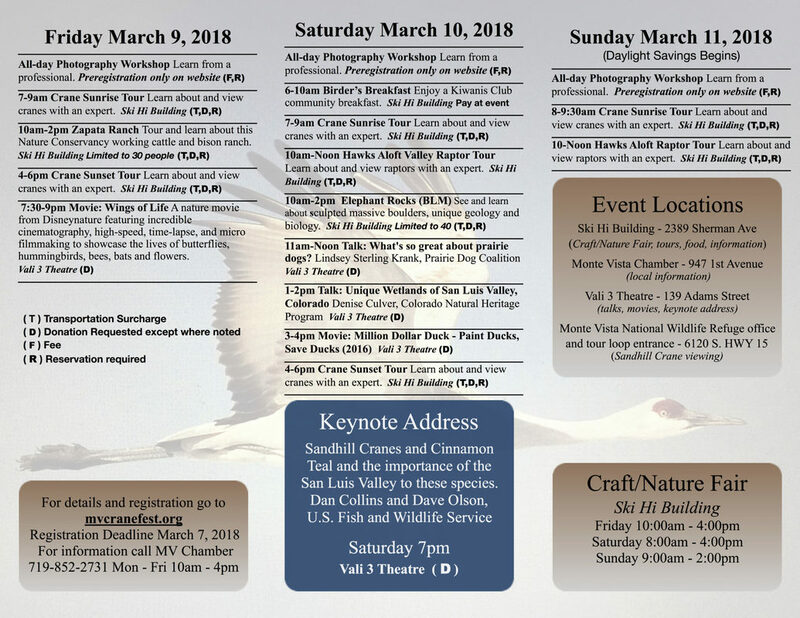 The 2018 - 35th Annual Crane Festival will be held March 9th through March 11th. or download the application and mail it to us. Thank you! The deadline to register for a booth is February 9th.